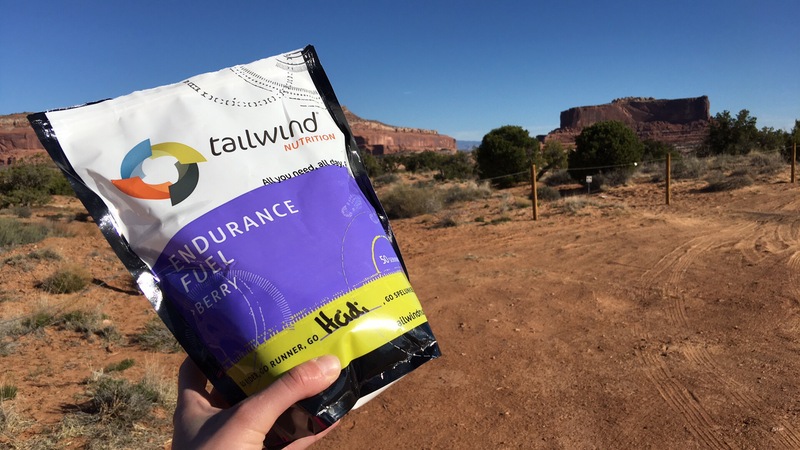 Tailwind Endurance Fuel… seriously, it’s all I need! I’ve been using Tailwind Nutrition Endurance Fuel for about 1.5 years now, and decided it was about time to share my experience! I happened upon this product in the summer of 2015 when I had several endurance mountain bike races looming ahead of me. I’ve always been horrible about eating while on the bike, so I had to come up with a solution, and fast. Chews – Fun, like fruit snacks! But some are awfully chewy (see the part above about high heart rate and trying to chew). Plus you have to eat the whole package to get the amount of advertise calories, and whose got time for that sometimes?! Dense bars – I love me a PB&J Bonk Breaker bar… as long as I’m standing completely still so I can chew through the denseness and calorie laden thing that it is. This was everything I had tried, along with items like English muffins with peanut butter and honey (so so so delicious, but impractical during racing), Larabars, and just hoping whatever measly calories was found in Osmo mix was enough. Tailwind was to be the solution to all of this: easy to use, easy on the stomach, and provides the adequate calories. The #1 thing to remember about starting to use Tailwind is that it takes some finesse and time to get right. You simply do not open up the package and simply use it like you would a gel. You need to experiment to see what works for YOU – how it works for YOU, how much works for YOU, what flavors/combos work for YOU, etc. You also have to let go of the solid food idea. When I started with Tailwind I treated it more like the standard electrolyte drink mix (like Osmo, Nuun, etc). I would drink it, and then still be eating my chews and waffles and gels. I think this is a common issue with people who try Tailwind is that they calorie overload their stomachs because they’re also consuming all the standard amounts of gels and what have you. “It has too many calories.” Another thing that makes me scratch my head. This isn’t an electrolyte drink mix intended to be used alongside other food products. It IS your food product, and that is why there are calories in it. Each scoop contains 100 calories. You are free to mix it as low or as high calorie as you desire. And when a several hour long road ride can burn 2000-3000 calories, I’m sure the calories in Tailwind will get used appropriately! So I began my Tailwind journey, and discovered I did love the product. Went down well and my stomach liked it, and most importantly so did my tastebuds (especially when the product got hot, which often happens in the summer). When the Leadville 100 rolled around I still had not perfected my methods, but I filled my Camelback up with it and set out. I did fine through the first aid station. But that little demon in the back of my mind went, “Oh, you haven’t eaten any solid food, don’t you think it’s time for a waffle?” So I had a waffle, and proceeded to puke my stomach contents out while riding my bike. That started the beginning of the end of my LT100 journey. I did the two hour long climb up to Columbine Mine not eating or drinking a thing, only to be saved by a cup of lukewarm ramen noodles, Coke, and watermelon at the summit. But I had taken an irreversible nutrition detour. That experience convinced me to ditch the need to constantly intake solid or accessory calories along with my Tailwind. I went into my 2016 race season with a set nutrition plan, and this led to me rocking two of my endurance mountain bike races with a happy tummy and fueled legs! I have come to use Tailwind for everything from short road rides through many-hour mountain bike endurance races. After all, it’s as much of a road cycling product as an endurance mountain bike racing product (as much as a running product, whatever that still is)! For typical, run of the mill short rides, maybe 1-2 hours in length I will use 2 scoops (200 calories) into a 24 ounce bottle. For longer road rides with potential for extended climbing or rare stopping moments, or during road races, I will use 2-3 scoops (300 calories) into a 24 ounce bottle, x2. I use to always run a bottle with plain water, but as I’ve grown accustomed to Tailwind, I have started to use Tailwind in both of my bottles. Epically long days on the mountain bike (3+ hours, remote, hard training) I will mix Tailwind in my Camelback. One of the things I love about Tailwind is it rinses clean out of any hydration reservoir and bottle you use with it. I have 2 and 3 liter reservoirs. I will do the math on how many 24 ounce bottles that equals, and run about 2-2.5 scoops per “bottle” in the reservoir. For endurance mountain bike races exceeding the 3 hour mark I run a 2 liter Camelback with 2.5 scoops per “bottle” in the reservoir. I place a bottle of plain water on the bike. This is because sometimes during hot summer races I “crave” plain water. It is also much easier to refill at aid stations, and sometimes you need to use the plain water in a futile attempt to remove mud from your drivetrain! Pretty much it can be summed up as 2-3 scoops of Tailwind in a bottle, regardless of situation! So what about additional food? If I racing XC mountain bike or on the road bike, I do not consume anything besides my Tailwind bottle(s). For endurance mountain bike races I will often start craving a “real food taste.” I have found that Clif Organic Energy Food pouches in banana/mango are amazing. It pretty much contains mashed up banana with a hint of mango, and added electrolytes, all at 100 calories per pouch. If I’m eating food while on a bicycle, 90% of the time you find me with one of these pouches! Other than that, I am guilty of taking a can of Coke at aid stations, and for rare events like the Dakota 5-O I will participate in the bacon and beer hand-ups by the Bacon Angels. But I’ve learned to listen to my body and ignore any of the other temptations (like the bacon during the Gunnison Growler). What, I thought you said no additional food earlier in this post?! For training rides or other adventures, I do partake in eating other food. Simply because it’s a whole different dynamic when not in a race situation. First off, my body isn’t freaking out from the stress of a race situation. Second off, I often can end up in pretty remote areas, and I want to be well fed. This is where the Larabars, Bonk Breaker bars, gummy bears, and heck, a good ol’ peanut butter and jelly sandwich (squished and mashed from being shoved in a pack) come in. Often I will just bring a single bottle of Tailwind and run water in my Camelback on anything I deem super adventurous, as I know food breaks will occur. It’s complicated, I know. That’s the intimidating factor of Tailwind is that it’s not just a “open it up, use it.” You have to be willing to experiment with scoop amounts, timing, and what works for what. But once it all falls into place… oh man! The glory! On the subject of flavors… I’ve tried all 7 flavors that are available, and I like them all… even the orange, and I typically hate orange flavored stuff! Three are available with caffeine. I tend to use my caffeine flavors for endurance races (though I will admit that drinking 2 liters of caffeinated mix makes you get a wee bit loopy after about 3 hours), and sometimes if it’s early morning and I need to wake up. So that’s a little about my journey with Tailwind! Disclaimer: I am a sponsored Tailwind Trailblazer. However, the company did not encourage me to write this review, nor tell me what to say, positive or negative. This is my honest recount of using a product that I truly love and believe in! Thanks and no problem! Good luck and I hope it works out for you!